Azure Log Analytics can collect data directly from your physical or virtual Windows computers in your datacenter or other cloud environment into a single repository for detailed analysis and correlation. This quickstart shows you how to configure and collect data from your Windows computer with a few easy steps. For Azure Windows VMs, see the following topic Collect data about Azure Virtual Machines. Provide a name for the new Log Analytics Workspace, such as DefaultLAWorkspace. Before installing the Microsoft Monitoring Agent for Windows, you need the workspace ID and key for your Log Analytics workspace. This information is required by the setup wizard to properly configure the agent and ensure it can successfully communicate with Log Analytics. 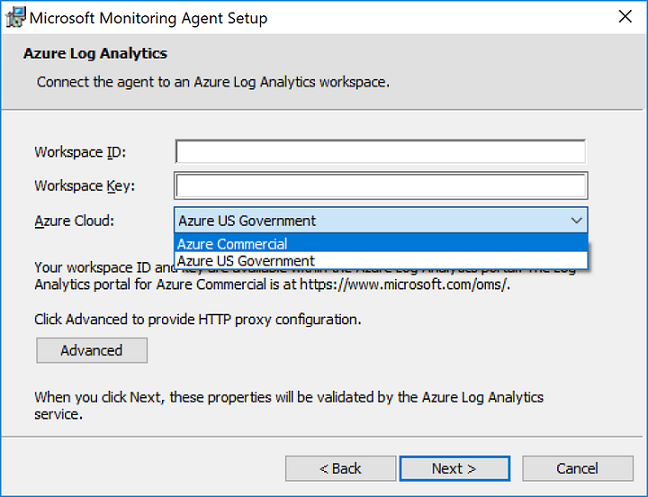 The following steps install and configure the agent for Log Analytics in Azure and Azure Government cloud using setup for the Microsoft Monitoring Agent on your computer. Continuing from the previous set of steps, on the Windows Servers page, select the appropriate Download Windows Agent version to download depending on the processor architecture of your Windows operating system. When complete, the Microsoft Monitoring Agent appears in Control Panel. You can review your configuration and verify that the agent is connected to Log Analytics. 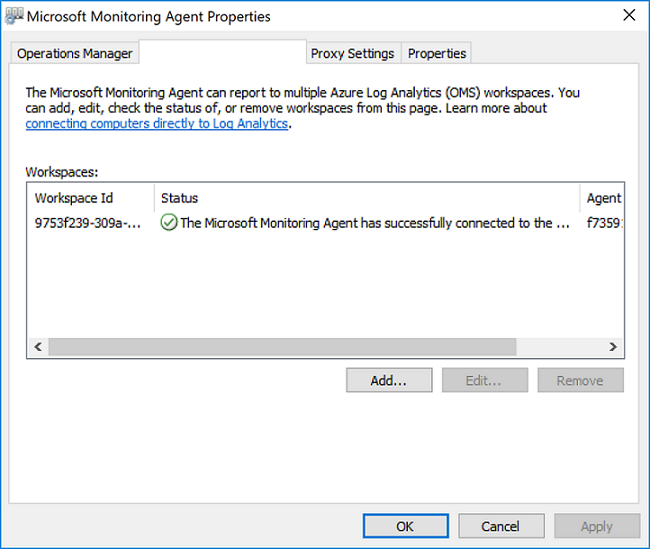 When connected, on the Azure Log Analytics tab, the agent displays a message stating: The Microsoft Monitoring Agent has successfully connected to the Microsoft Log Analytics service. Log Analytics can collect events from the Windows event log and performance counters that you specify for longer term analysis and reporting, and take action when a particular condition is detected. Follow these steps to configure collection of events from the Windows event log, and several common performance counters to start with. 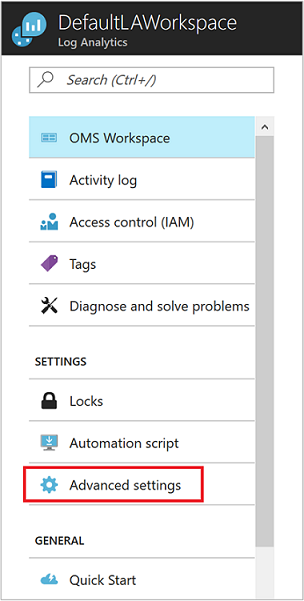 In the Azure portal, click More services found on the lower left-hand corner. In the list of resources, type Log Analytics. As you begin typing, the list filters based on your input. Select Log Analytics. 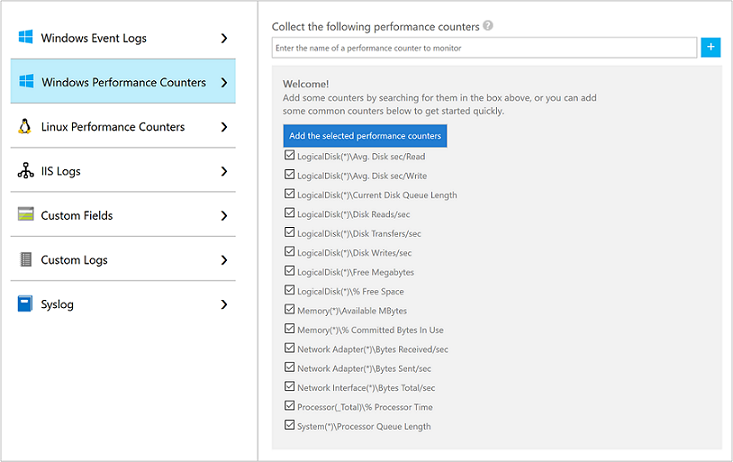 Select Windows Performance Counters to enable collection of performance counters on a Windows computer. 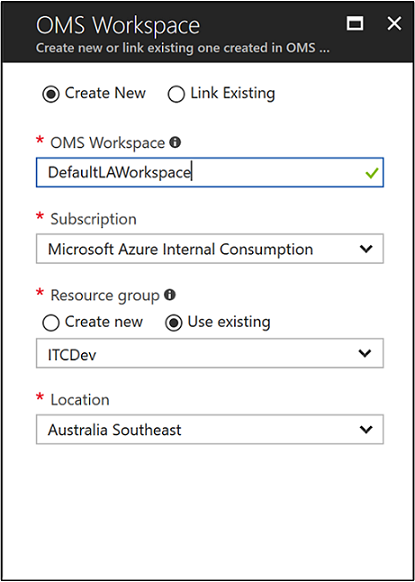 In the Azure portal, under the selected workspace, click the Log Search tile. On the Log Search pane, in the query field type Perf and then hit enter or click the search button to the right of the query field. 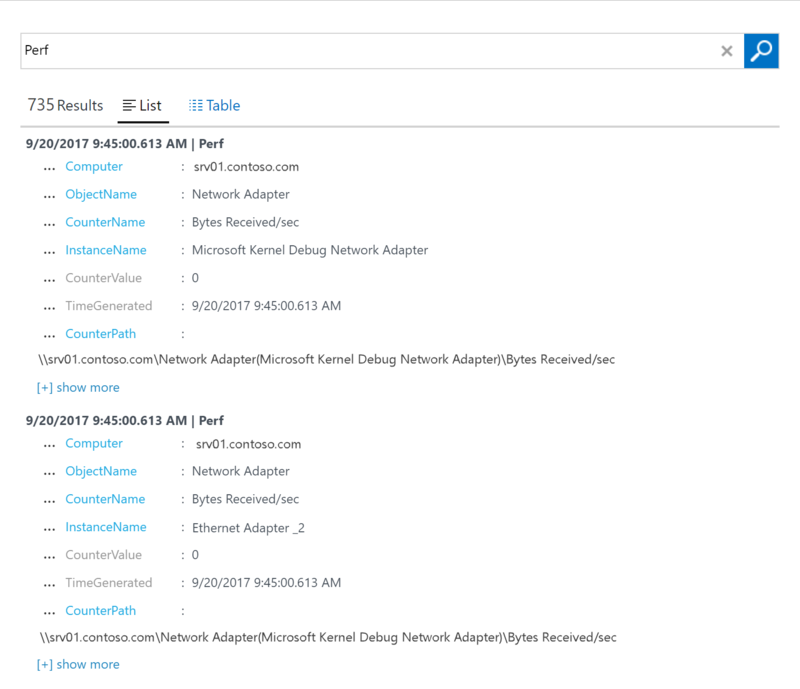 When no longer needed, you can remove the agent from the Windows computer and delete the Log Analytics workspace. To remove the agent, perform the following steps. In Programs and Features, select Microsoft Monitoring Agent and click Uninstall.